Air Conditioning and Refrigeration Book by Mark Richard Miller and Rex Miller (Malestrom) with over 800 illustrations. This textbook has been prepared to aid in instructional programs in high schools, technical schools, trade schools, and community colleges. Adult evening classes and apprenticeship programs may also find it useful. 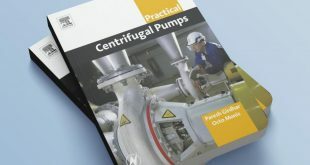 This book provides a thorough knowledge of the basics and a sound foundation for anyone entering the air conditioning and refrigeration field. An introduction to the basic principles and practices of the air conditioning and refrigeration industry is more than just a review of the facts and figures. It requires a complete look at the industry. This text presents the basics of all types of refrigeration. It explains the equipment that makes it possible for us to live comfortably in air-conditioned spaces and enjoy a wide variety of foods. This book cover all these topics.